The quality Mossman Filly out of Encosta De Lago mare Creative Chance was purchased for very reasonable price of just $40,000. 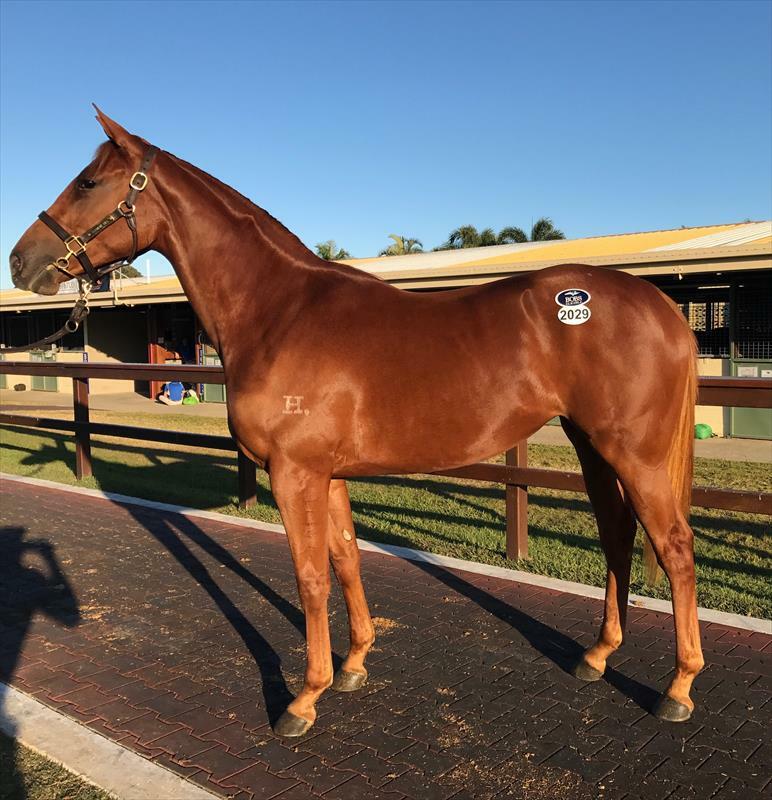 The good bodied, strong walking filly caught the eye of Director Jason Abrahams at first inspections at the Magic Millions June yearling sale- "I really liked this filly when I first inspected her prior to the sale, she possesses a purposeful walk and great attitude and both John O'Shea and I thought $40,000 was a bargain". "We've had good success with cheaper fillies, and a good example of that is Butterboom who we also purchased for $40,000 as a yearling before selling her at the MM broodmare sale for $360,000". This filly's second dam is multiple stakes winner Creative Plan- a winner of 5 races including 2 a two year old. Creative Plan is a three-quarter sister to multiple Hong Kong Stakes winner Jeune King Prawn (Danehill). Her sire Mossman has produced Group 1 winners including Mossfun (Golden Slipper), Plucky Belle (Coolmore Classic) and sprint sensation Buffering who saluted in Group 1 company on seven occasions.